Today I’d like to share a concept that I call the Rule of Three. It’s something I’ve noticed a lot in my life lately. The observation occurred to me when I was walking along the beach in Charleston, South Carolina. 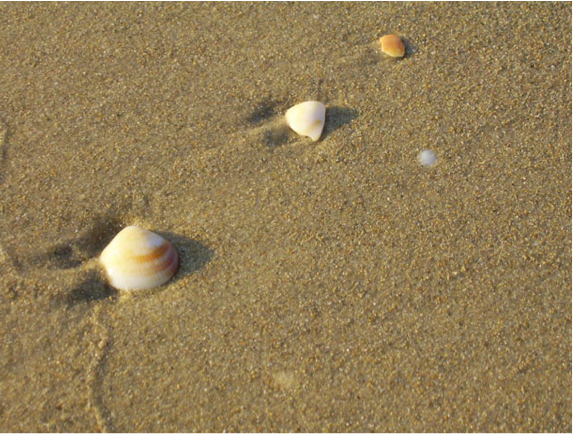 While strolling along the shoreline I was fascinated by all the separate groups of shells scattered all over the sand. I noticed that something peculiar was happening. Instead of sitting on the beach in one big clump of shells, the shells lay scattered about in groups of three. With a group of three shells here, a group of three shells there. Consider the concept of three; in most cases, you need three of something to build a stable structure. Sure, a ladder has two legs. But the reason a tripod works so well is because there’s another leg for it to stand on for stability. But, beyond just thinking about the purpose of a tripod all day, humor me and I will outline how this structural truth is far-reaching and more prevalent than you might think. The rule of three occurs in the natural world; As a result, it makes up the environment around us. How? There are three kinds of matter: liquids, solids, and gas. There are three molecules in water: H2O, two hydrogen molecules, and one oxygen; in carbon dioxide, too there is simply just one carbon and two oxygen. The rule of three applies in chemistry, on the atomic level and these simple structures comprised of merely three elements inform our world. We’ll look at navigation and technology next…How do you get around these days? Did you know that GPS works by using triangulation (Of course, you have a triangle, which is a shape with three points) to determine our location? If you’re using your cell phone, you’re standing on Main Street, and there are three satellites in space that all communicate with each other and then shoot back down that signal to your phone. Boom — the rule of three. Arts & music also rely on this principle. In music, when three notes come together in the right fashion they sound great to the human ear as they resound to form one chord; musical chords are also formed using three notes. In art school you learn about the three primary colors; yellow, blue and red, which establish everything concerning color theory. Stories need three components (some call them acts) for them to be coherent. You have somewhere where you start (your origin). Then something shifts in the middle, and then you end somewhere else. There’s always a mid-point in a journey. It’s not a coincidence — this is how the human mind processes information and infers meaning. For something to be compelling, it needs a beginning, middle and end. Then, of course, we have the Three Amigos, because why not? Still reading? Great. All of this text may be an oversimplifying what is actually happening, but it’s worth exploring how the rule of three manifests itself in surprising ways. Let’s move away from the abstract subject matter and shift toward discussing more practical matters. How do I apply this in my life, and why am I sitting here writing about three? 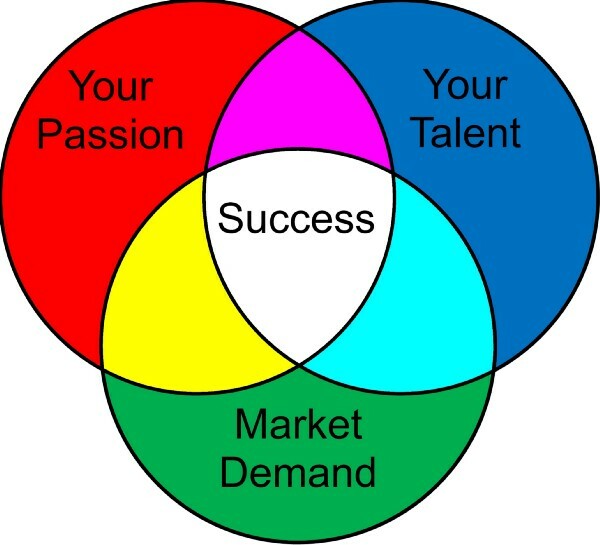 There’s a Venn diagram below that outlines a formula or general hypothesis for why people seek professional development and what they work toward in life. • What do you love? What’s your passion? • What are your talents? • What in the job market is needed? Right there in the middle is where success lives. This sweet spot is what most people aim for in work and life. So, how does this rule of three manifest and actively work for me? I’ll share three values in my life that I think apply to most people. These principles shape, to a large extent, my outlook on life. They are Attitude, Gratitude, and Raditude. Attitude; your mindset is everything. Your thoughts drive your actions, so it’s in your best interest to be bold. Think boldly and harness positive thinking in your daily life. There is a classic book called As a Man Thinketh. The thesis offers a simple message: you are what you think. Whatever goes on through your head, that is what will influence your actions and how you present yourself in the world. A lot of the content and different tips many people like to both read and write about are about the power of presentation. So much of that literature is about self- confidence, believing in your own abilities, being positive, talking to yourself positively, and treating yourself well. A person is limited only by the thoughts he or she chooses. 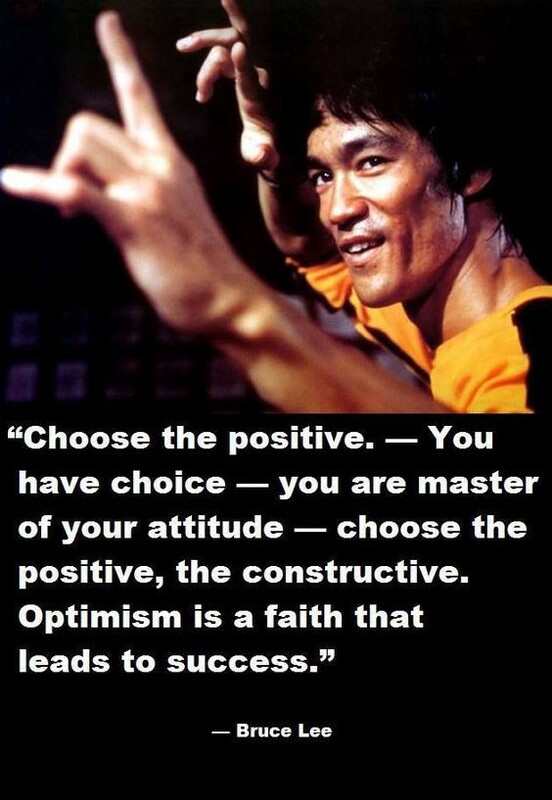 Bruce Lee said “You have choice. You are master of your attitude. Choose the positive, the constructive. Optimism is a faith that leads to success.” #attitude. Coming off of Thanksgiving this is of particular importance, but you can be thankful and have gratitude all year long. Despite all the tumult, the time we’re living in, the 21st Century is awesome. In a first world country despite the rapidly shifting political, social, technological environments, it’s pretty amazing. Of course, having gratitude, thank-you notes, following up, and staying connected to people that are in your circle, and sharing the love, because that’s what it’s all about when it comes to keeping your network active and engaged. Of course, there are struggles, and trials as well as triumphs, but emphasizing the positive and the good will carry you through. That is why gratitude is so vital to my life. Spreading love is what I’m recommending you do too. Now we have something I call Raditude: This is your own personal concept of being in the zone. I’m not going to sit here at my keyboard and tell you what you are good at, what you love to do. 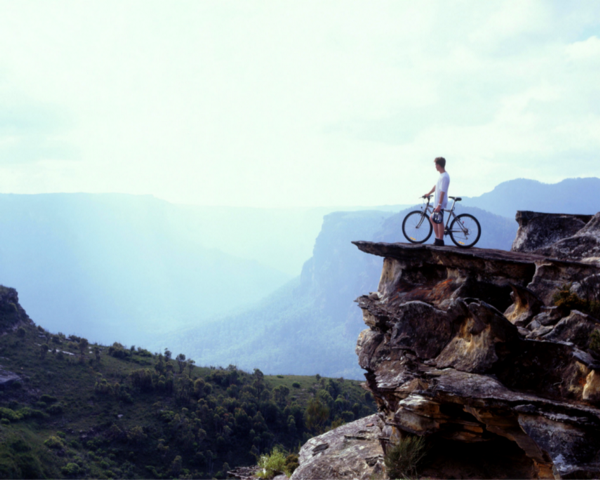 Raditude is something we can all strive for and work toward incorporating into our mindset. The basic definition is being in the zone, loving what you’re doing, or enjoying the process of figuring that out because we each are on a different path. Want to know the truth? Most people are lucky if they are working at a job that resonates with what they really love, or what they want to do. It’s something most people are striving to find. Something that I do is Goal-setting, just checking in with my personal goals, thinking about what I want to achieve in the year, the month, or the week. It’s the practice of proactively defining ways to invest and keep building your own momentum. It’s about knowing what you’re focused on, whether it’s finding that mentor, managing your time or doing something new. The discipline and beauty of raditude demand consciously having all of your choices, activities and intentions strategically aimed at contributing to your best self so that with time and practice you can reach your own personal sense of raditude. 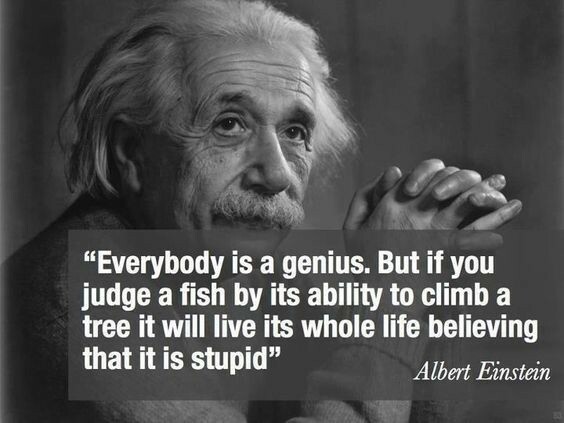 Einstein said, “Everybody’s a genius, but if you judge a fish by its ability to climb a tree, it will live its whole life believing that it is stupid.” What this quote means is that you inherently know what’s best for you. I inherently know what’s best for me. Listening to that inner voice is raditude, and we’re all striving for raditude. Express yourself, empower yourself, define your value, live out loud and enjoy it. Because three principles and the Power of Three are in application all around us — — harness them today. Black History Month And Thinking Beyond "Diversity Trainings"